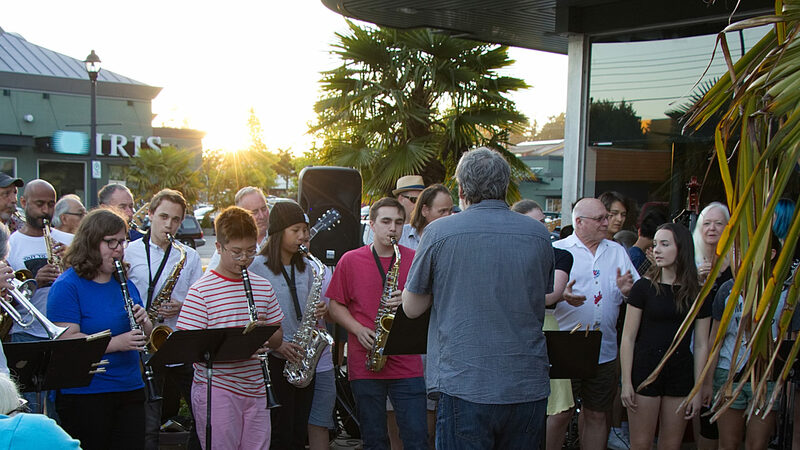 This summer will feature several guest faculty for our summer jazz workshop from outside of the Vancouver area. Returning again this year will be Rob Kohler, who is currently touring in Europe with his bass. Rob has been a regular member of our summer faculty now for a few years and will be back again this summer, along with appearances at his regular gig at the Stanford Jazz Workshop. Also back this year for the first time since 2008 is saxophonist Edward Orgill. Ed is professor of jazz studies, world music and saxophone at Westfield State College and will be back this year as a faculty member for the 2011 workshop and festival. We welcome trumpeter Bill Clark to our faculty this year for the first time. Bill is no stranger to the Vancouver Jazz scene and been both very active as a teacher and performer. We are very pleased to have Bill on faculty this year. Our regular faculty include Dr. Jared Burrows (guitar) from Capilano University, Brad Muirhead (trombone) and Stephen Robb (clarinet, saxophone, jazz piano). We are looking forward to another great week of music making here in Delta BC.